I have found internet in Myanmar! 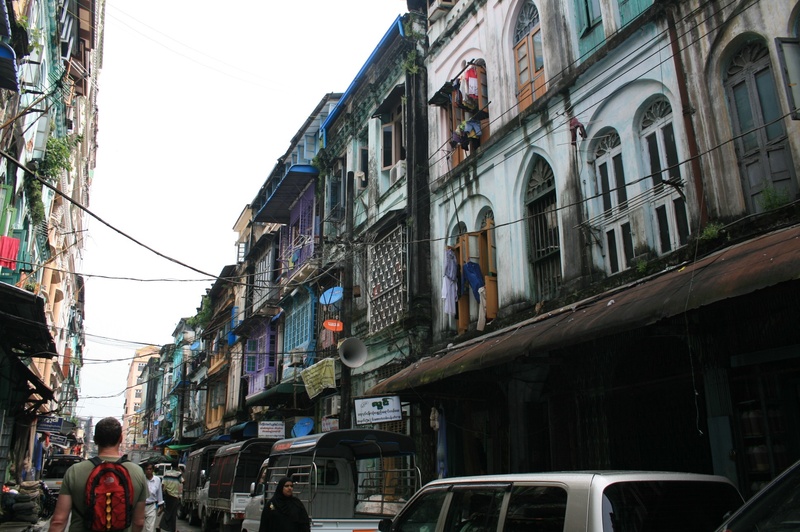 We arrived in Yangon from Malaysia and we were hit for six. 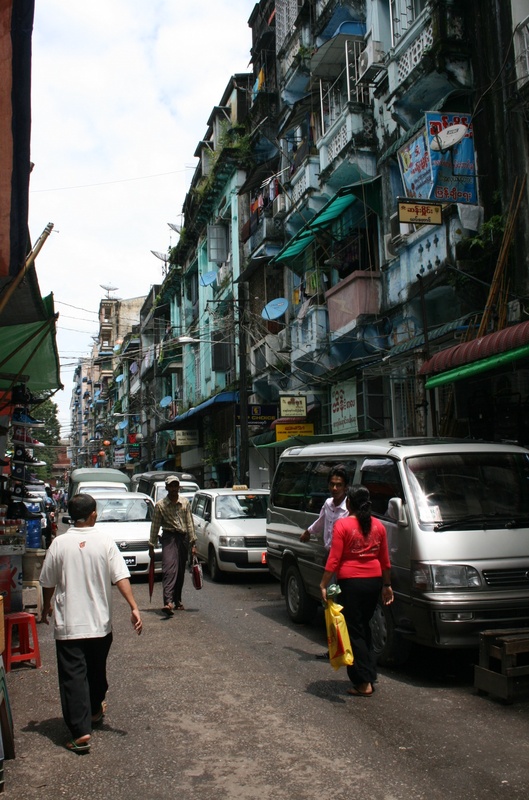 Our first impressions of the city of Yangon was jaw dropping OMG! It’s an ant colony – there are people and cars and buses everywhere. The buildings are old and run down, the streets have no drainage, there is waste and rubblish on the sides of the road. Everywhere your eyes look at there is something going on. It is organised chaos at its best. But the people of Yangon are so friendly. They all smile and wave as we walk past. They yell out “hello” and love it when we say it back. Many of the older generation know and understand English from colonial days, but many of the younger generation do not. The men wear longhis – usually a tartan pattern or plain skirt that is wrapped around the waist and tucked in. Women wear long skirts too that come in a variety of colours and patterns and they are called a tamai. The youth of Yangon have surprised us. They must be some of the hippest, coolest looking people in all of South East Asia. They dye their hair red, pink, yellow, any other colour to stand out, they wear trendy clothing and sunglasses, men have earrings and tattoos. Remember this generation has been brought up under a military junta that took away freedoms and shot anti-government protestors in the 80s and 90s. I see individualism and expression from these young people which is something we didn’t see so easily in Vietnam last year. For a country that has just opened its doors to the world, watch this space. In 2014/15 there are elections with Aung Sun Soo Kyi a leading contender If they hold free and fair election processes. glad its all going well. enjoy.